The Food and Drug Administration has let us know that it is not going to meet its own proposed deadline to address the proposed regulations regarding tobacco. They also missed their deadline to discuss a consumer friendly list of potential hazardous ingredients found in E Cigarettes. As it goes though, they are not held responsible nor are they given any sort of penalty for missing a deadline! We can expect that they will complete it soon and be available for the public to view. The FDA is still unsure as to the true hazardous effects of an E-cig. The E-cig is currently disbursed as a beneficial product that is overseen by the FDA center for Drug Evaluation and Research, also known as CDER. Those products that are not distributed under this are currently being evaluated. As the FDA let go of the proposed regulations in 2010, they are not planning on letting this go at this time. State legislation for numerous states are putting on the demands to regulate. It does seem that there will be major differences to come. Many different venues in California have not established any bans on whether you can’t puff on your E-cig in public where you are definitely not allowed to smoke traditionally. It only seems appropriate that an adult could choose what they want to consume or ingest. As for current study to support the harm an e-cigarette could do to a person, this is not yet assessed. Now let us look at the issue of E-cigs supporting those that no longer want to smoke traditional cigarettes. It is true that if we give E-cigs a chance they could wipe out traditional smokers altogether. Will Big Tobacco allow this to happen? Once again, will Big Tobacco allow this to happen? It is up to us and those that make their voice heard with consumer choices. If what we purchase expresses our vote, then we are choosing to support that which we believe in with that very choice. There is a major decision to address. Who holds the power in this situation? It is Big Tobacco? 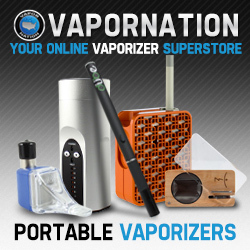 Is it up to those of us who do purchase the E-cigs out there on the market today? It is of vital importance to give an opportunity to those that smoke to have an alternative. In my personal experience, I have over ten friends that used to smoke and out of all those ten, five now use E-cigs and the others have stopped smoking altogether. In my opinion, it only seems right to give people the chance to choose, an option for better choice. Global sales of smokeless tobacco products, including smokeless inhalers, has grown to nearly $3 billion — and continues to grow. In an attempt to quit the tobacco habit as many as one-fifth of smokers have tried e-cigarettes. On the other hand, let me mention the other side of the story. As mass media often does, there have been big scary words recently associated with the liquid nicotine products. In the New York Times three weeks ago they described E-liquid as a neurotoxin. They are stating that small amounts of the liquid can induce vomiting, seizures, and potentially be lethal. A teaspoon is said to be able to kill a young child. As I further researched these articles that discuss the deadly effects of E-liquids, it became very clear to me that the cases that were mentioned were due to parent neglect. I am on the fence as to whether or not E-cigs are a good alternative for all cases, but it is very clear that some folks are trying to use tactics to scare mass media and those that follow into believing that E-cigs are harmful. So there it is. Those who do not see the good effects of an alternative option are in support that E-cigs are dangerous. It is still a controversial topic that needs to be investigated in a scientific manner as well as a social study should be integrated in real form to expose the truth about how many people have benefited. In conclusion, I have spent days and hours researching the different sides of this controversial issue, and it does appear that the repeating statements are that they could help, they could hurt, but it is a good thing that there are options and choices for those that smoke traditionally. As with any new product, it does take time to investigate whether or not a product is healthy and needs to be tested over time for real effects.